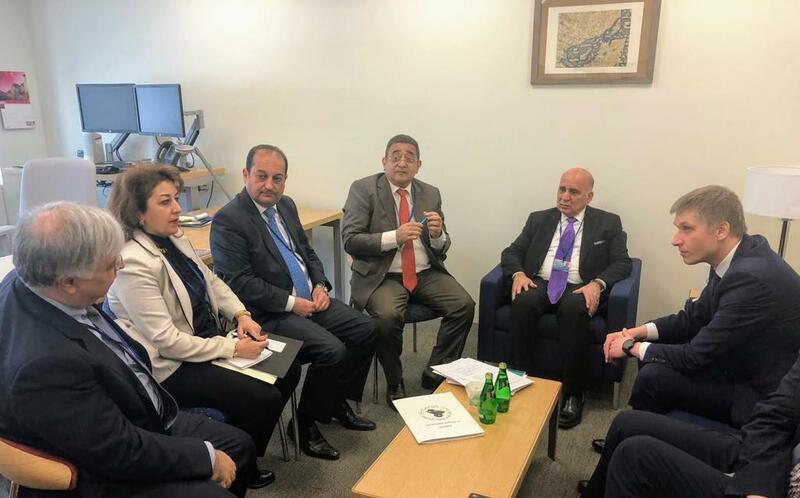 Deputy Prime Minister Fouad Hussein on Friday discussed with World Bank officials the role of the latter in supporting the Iraqi government's plans for human development, sustainable economic growth and reconstruction of Iraq. "The Deputy Prime Minister for Economic Affairs and Finance Minister Fouad Hussein arrives in the US capital of Washington to attend World Bank meetings and will discuss future cooperation between Iraq and the World Bank in light of the priorities and needs of the Iraqi government," a statement from Hussein's office said. .
"He met with World Bank Group President David Malabas and discussed with him the Bank's role in supporting the Iraqi government's plans for human development, sustained economic growth and reconstruction of a post-Saddam Iraq, as well as exchanging ideas and views on the development and revitalization of the public and private economic sectors and reducing poverty, . The Deputy Prime Minister and the accompanying delegation, which includes the Minister of Health and a number of Directors General, will hold several meetings with the directors of the Bank and the Member States. BAGHDAD - Finance Minister Fuad Hussein arrived in Washington on Friday to attend the World Bank meetings and discuss future cooperation between Iraq and the World Bank in light of the priorities and needs of the Iraqi government. 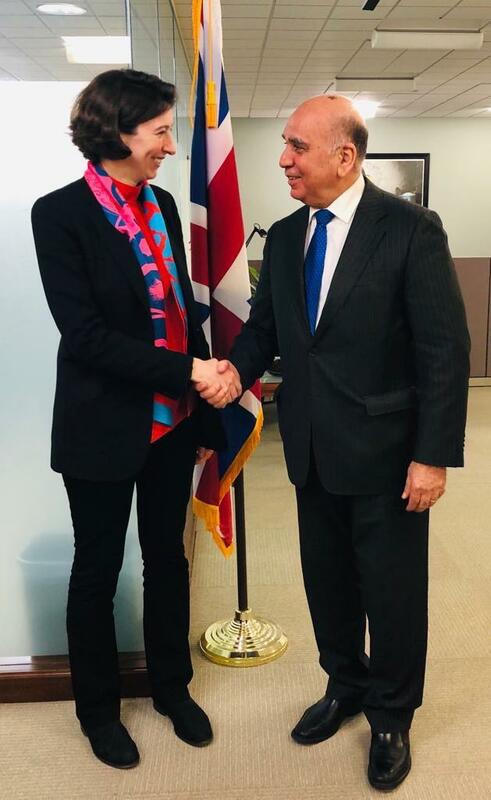 The Minister of Finance met with David Malabas, President of the World Bank Group, and discussed with him the Bank's role in supporting the Iraqi government's plans for human development, sustainable economic growth and reconstruction of a post-Saddam Iraq, as well as exchanging ideas and views on development and revitalization. Public and private economic sectors and poverty reduction ". The World Bank has 189 member states, including Iraq, which it joined in 1945. The Deputy Prime Minister and the accompanying delegation, which includes the Minister of Health and a number of Directors General, will hold several meetings with the directors of the Bank and the Member States. Iraq’s economy is gradually picking up following the deep economic strains of the last four years. Real GDP is estimated to have grown by 0.6 percent in 2018, thanks to a notable improvement in security conditions and higher oil prices, reversing the contraction of 1.7 percent seen in 2017. The non-oil economy picked up speed and grew at 4 percent, while oil production was slightly less than 2017 in line with the OPEC+ agreement. Recently, the Iraqi economy has received a boost of confidence with the signing of several trade agreements with its neighbors. Reconstruction efforts have been proceeding at a moderate pace. Inflation remained low at 0.4 percent in 2018, but slightly up from 2017, due to higher domestic demand in addition to rising food and transportation costs. Non-oil growth is expected to remain positive on the back of higher investment needed to rebuild the country's damaged infrastructure network, private consumption and investment. However, the recently approved 2019 budget presents a sizable increase in recurrent spending, and unless there is a significant reorientation in fiscal policy to a comprehensive recovery approach, there will be limited fiscal space to sustain post-war recovery and longer-term development. 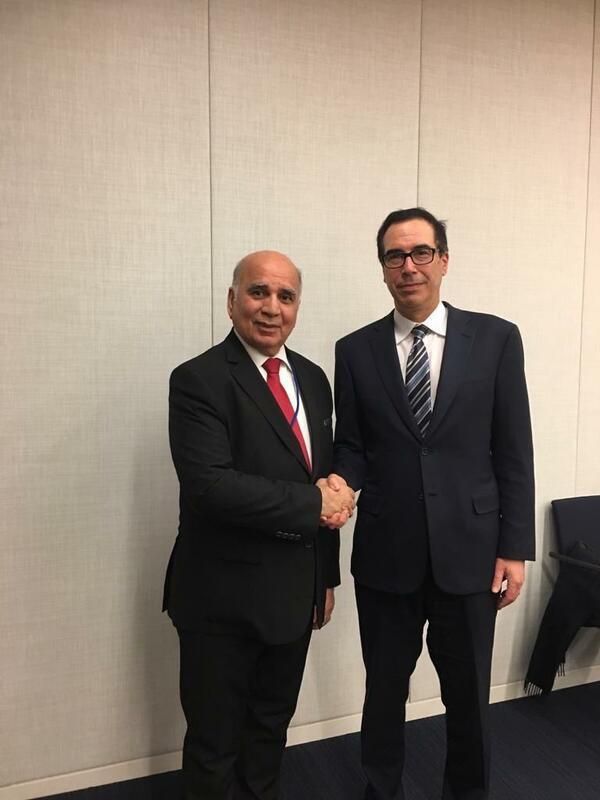 Finance Minister Fouad Hussein arrived in Washington on Friday for the World Bank's meetings and will discuss future cooperation between Iraq and the World Bank in light of the priorities and needs of the Iraqi government. 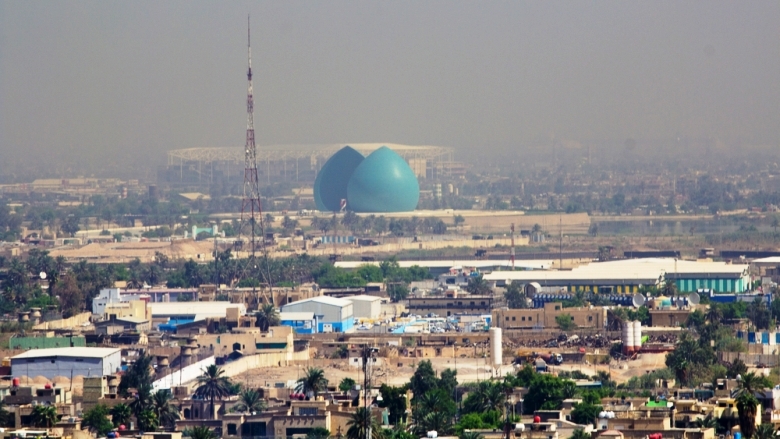 "The minister met with World Bank Group President David Malabas and discussed with him the Bank's role in supporting the Iraqi government's plans for human development, sustained economic growth and reconstruction of a post-Saddam Iraq, as well as exchanging ideas and views on the development and revitalization of the sector," the Ministry of Finance said in a statement. Economic and private and poverty reduction ". The Deputy Prime Minister and the accompanying delegation, which includes the Minister of Health and a number of Directors General, will hold several meetings with the Bank's executive directors and member states. On the sidelines of the World Bank meetings in Washington , the Deputy Prime Minister forEconomic Affairs and Finance Minister Mr. Fouad Hussein and his accompanying delegation , a series of bilateral meetings with a number of ministers and officials of thefinancial and economic circles in various countries. Secretary Stephen Nochen and reviewed with him the latest developments on the political and economic arenas and means of enhancing bilateral relations between Iraq and the United States. [rtl]Norbert Barthill, Minister of Cooperation of the German Ministry of Economic Cooperation and Development, also discussed with him the efforts to provide services, reconstruction and repair of cities destroyed by military operations after the expulsion of the so-called Islamic State Organization. As well as training needs and capacity development in Iraqi government institutions. 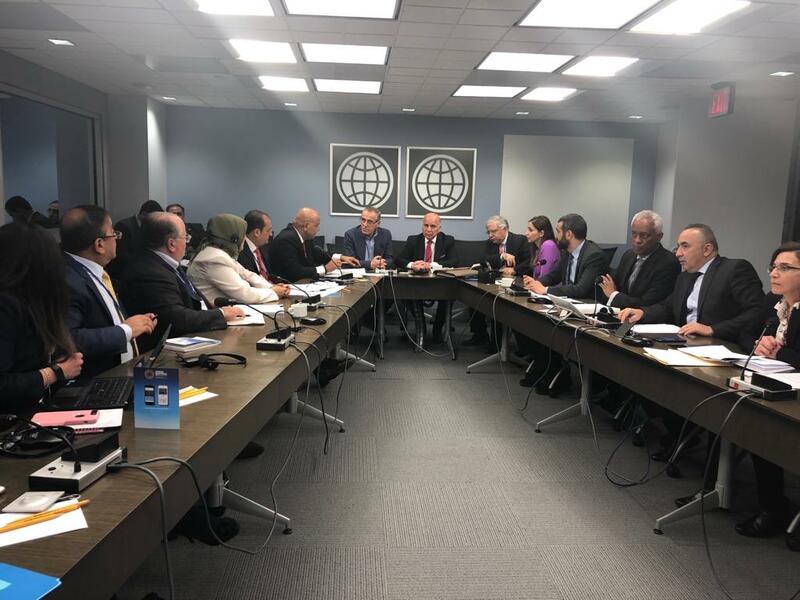 Deputy Prime Minister for Economic Affairs and Minister of Finance Fouad Hussein and his accompanying delegation on Sunday attended the World Bank Group's spring meeting in Washington, DC. The Deputy Prime Minister for Economic Affairs talked about the Iraqi government's program and its priorities, which are combating corruption and poverty, providing basic services, rebuilding the affected areas, activating the economy, role of the private sector and developing capacities. He also talked about the reconstruction fund of Iraq and the Fund's programs in providing services and infrastructure for liberated cities. Mr. Fouad Hussein, the countries that contributed and supported Iraq in its war against terrorist organizations as well as in the reconstruction efforts. He also touched on the issue of the efforts of the return of displaced persons and the obstacles that impede those efforts and how to overcome the return of the Palestinians. Which have been displaced to their areas after security stability by the expulsion of gangs calling for the terrorist. The meeting was attended by the Governor of the Central Bank of Iraq, Dr. Ali Alaq and the Ambassador of Iraq in Washington, Dr. Farid Yassin and a number of Directors General of the Ministry of Finance. 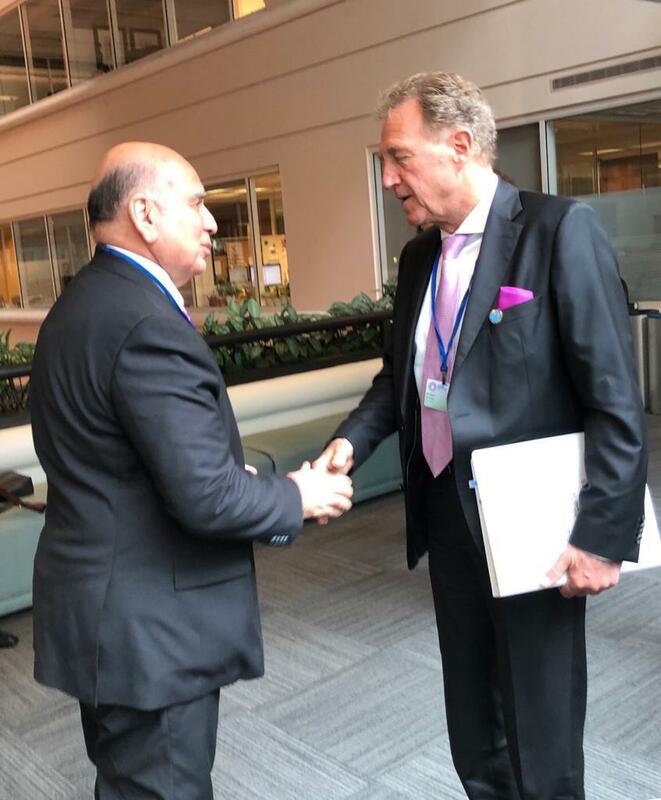 The Ministry of Finance announced on Sunday the participation of Iraq in the consultative meeting of finance ministers of countries on the sidelines of World Bank meetings. "The Deputy Prime Minister for Economic Affairs and Finance Minister Fuad Hussein and his accompanying delegation participated in the meeting of the World Bank in Washington, the ministerial consultation meeting in the presence of the Ministers of Finance and Treasury in Saudi Arabia and the State of Kuwait," the ministry said in a statement. The Hashemite Kingdom of Jordan, Yemen, Libya, the International Monetary Fund (IMF), the International Finance Corporation (IFC), and the Multilateral Investment Guarantee Agency (MIGA). "It is hoped that this strategy will support refugees and displaced people, contribute to the fight against poverty, support the role of the private sector and combat corruption as a form of community violence," she said. "The Deputy Prime Minister for Economic Affairs talked about the Iraqi government's plans to combat corruption, poverty and reconstruction efforts of the affected areas and the development of the private sector. He also touched on the issue of efforts to restore displaced persons and refugees and obstacles to these efforts." The Deputy Prime Minister for Economic Affairs, Finance Minister Fouad Hussein and his accompanying delegation attended the International Monetary Fund (IMF) meeting for the Middle East and North Africa in the presence of the Fund's Director Christine Lagarde. And it was discussed during the meeting the importance of using modern technology and digital means in transactions in order to reduce red tape and bureaucracy and eliminate corruption. They also discussed how best to create jobs and rely on the young generation in the region and support them to take their active role in revitalizing the economies of the Middle East and North Africa. And Mr. Fuad Hussein , Deputy Prime Minister briefed about political developments in Iraq and the Platform for the new government and focus on reforms and the provision of services and reconstruction efforts. And the meeting was attended by Iraq 's ambassador in Washington , Dr. Farid Yassin and a number of general managers . 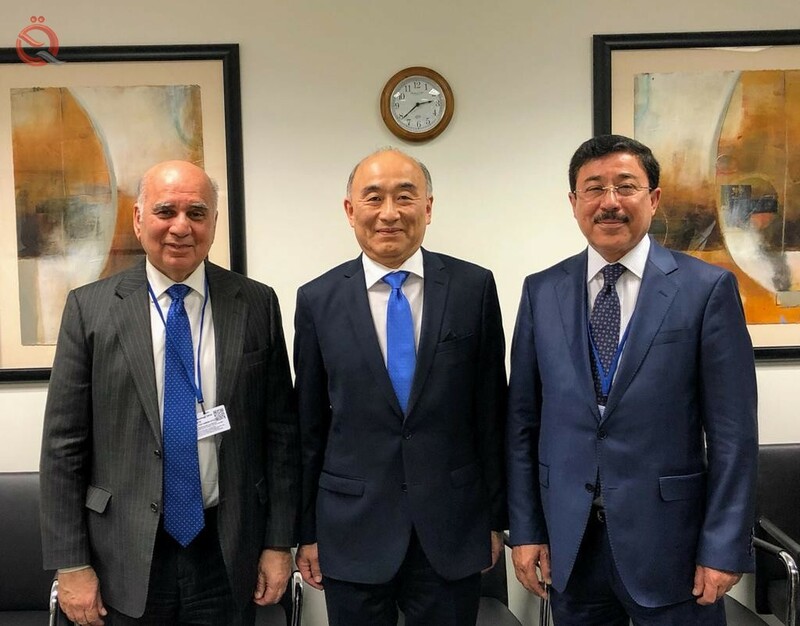 Deputy Prime Minister for Economic Affairs and Minister of Finance Mr. Fouad Hussein met on the sidelines of the World Bank meetings in Washington Mr. Mitsuhiro Furosawa, Deputy Managing Director of the International Monetary Fund. And Deputy Prime Minister extended an invitation to Mr. Vorosawa to visit Iraq and the opening of the Office of the Fund in order to enhance mutual cooperation. And Vice - President of the burden presented DONC affairs Alaqsadah an explanation on the latest developments on the political and economic arenas in Iraq and the efforts of the government through righteousness Mjha ambition to restore stability and reconstruction of the areas liberated from the occupation of the organizations Daesh terrorist as well as the adoption of the government for a new policy to stimulate the economy and diversify sources of income . And attended by the Governor of the Central Bank of Iraq, Mr. Ali Alalak.